Perth, Aug 17, 2011 (Global Fashion Wire) - The Third International Conference of Fashion Incubators will be held at the Parmelia Hilton in Perth from the 11th until the 13th of September 2011. TCF Australia, one of the supporters of the conference is offering an exclusive opportunity for one person to attend the conference in Perth for FREE via an exclusive scholarship opportunity. 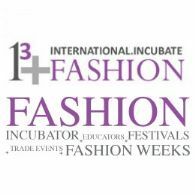 "How the International Conference of Fashion Incubators will inspire you to achieve your business goals and develop new global fashion networks"
The prize will include, Return economy Airfare and 3 day delegate pass (Valued $1300). Closes 19th August (winner will be announced 24th September NOTE: discount airfare will be on reimbursement basis). Please note that this Competition is open to TCF Australia members and Scholarship cannot be taken in cash.